An installation as a part of the North Carolina Museum of Art (NCMA) Art in Bloom 2017 in which we created a living plant arrangement based on James Duff, Second Earl of Fife (1729–1809). An installation as a part of the North Carolina Museum of Art (NCMA) Art in Bloom 2016 in which we created a living plant arrangement based on The Saint-Sever Bridge, Rouen: Mist - Camille Pissarro, 1896. 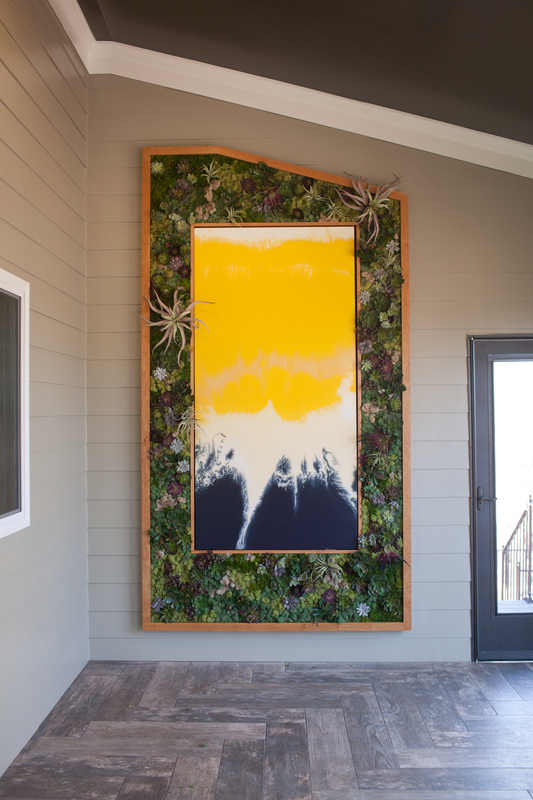 An installation for Home & Garden Television (HGTV) in which we created a 'Living Wall' featuring faux succulents & air plants along with preserved mosses. This 10' tall and 5' wide installation nearly covered the entire back wall of the screened porch and was made using North Carolina hardwood.